Perfect French toast, although it sounds fancy and tastes like a delicacy, can actually be made quite famously by an amateur. Below are the step by step instructions on how to make French toast the traditional way, but we’ve included an un-traditional option to make it extra tasty and slightly unique. How to make french toast – French toast is most often made in the morning on a hot griddle. Perfect French toast, by the way, does not demand fresh bread. Actually, bread that has surpassed it’s best by date is perfect to make French toast (as long it’s not starting to develop mold of course)! If you haven’t guessed by now, I love French toast in any shape or form! So, grab the eggs and bread and let’s go. 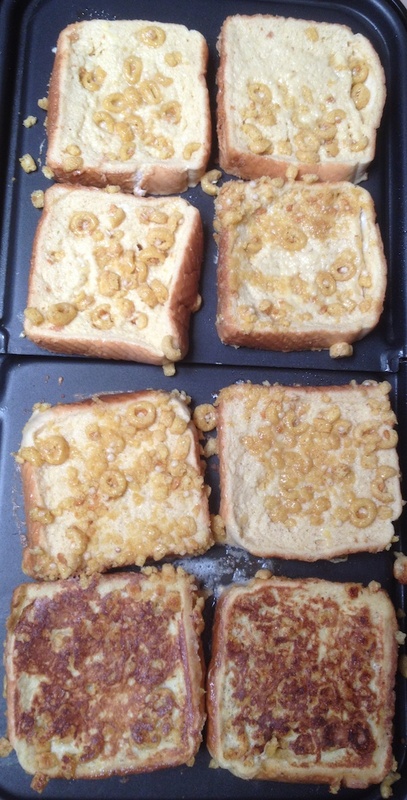 Day Old Bread – 4 slices – any type will do, experiment with different types to find your favorite or buy a brand labeled as “french toast” or “Texas toast”. 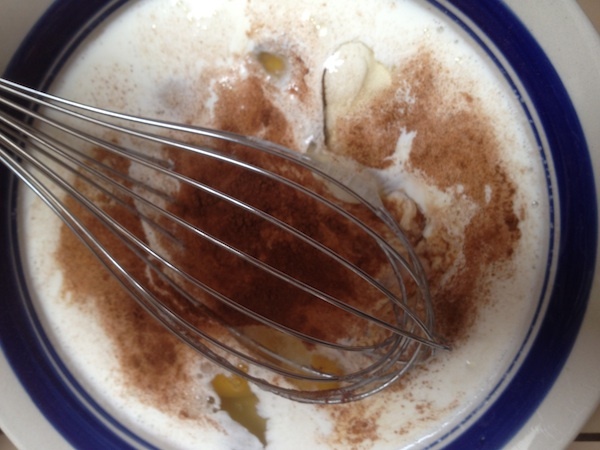 Toppings as desired – syrup, fresh fruits, whipped cream, butter, etc. 1)Pre-heat a griddle or other flat pan on medium to medium-high. 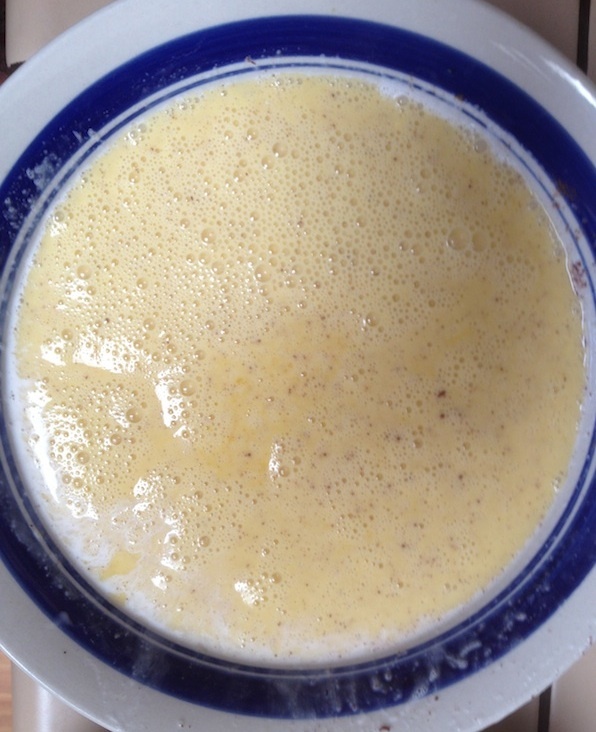 2) Place the eggs, milk and optional flavorings into a large but shallow bowl. 3) Whip with a metal whisk. 4) Dip the slices of bread, one at a time turning, then poking with a fork and turning again (turn it twice total). You want the bread to absorb as much liquid as possible without getting so soggy that it breaks up. 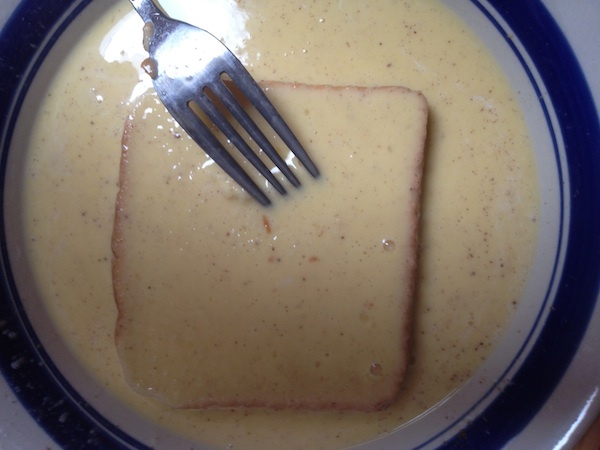 5) Optional – this step is optional, but adds an extra level of sweetness and texture when making french toast. 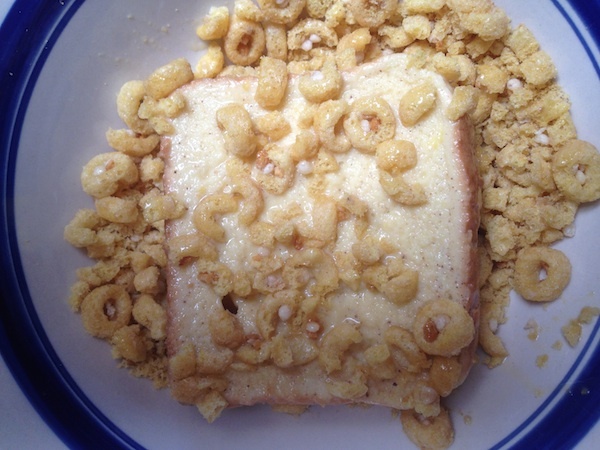 Set out a bowl of cereal – we use Quaker Oh’s cereal but Captain Crunch and Corn Pops also work great. After dipping the bread in the egg mixture, dip it into the bowl of crushed dry cereal before placing the french toast on the griddle. 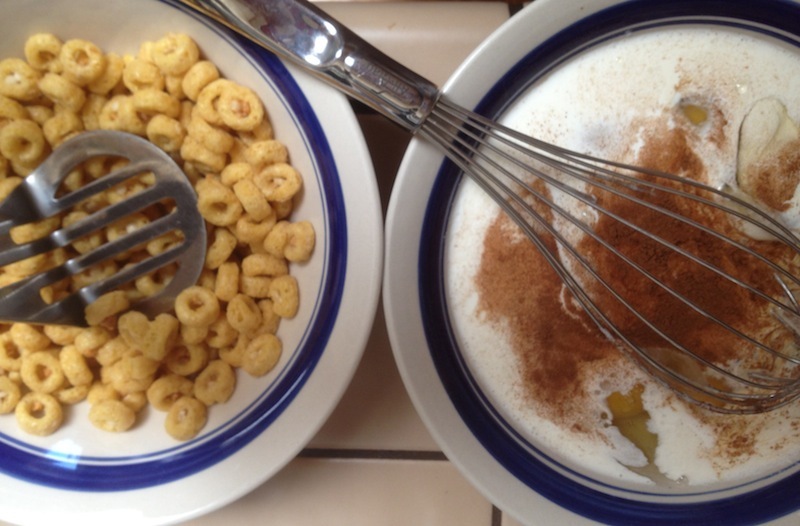 The cereal will enhance the flavor as it will caramelize slightly while cooking and add a slight crunch to your toast. 6) Melt a little butter on your cooking surface for extra flavor (or spray with a little oil) and then begin placing the dipped breads on to the pan. Flip the toast when they are golden brown like the last two slices in this picture. If you are using thick slices of bread, it’s a good idea to stack 4 slices on their four sides (once both flat sides are browned) and then rotate them around to each of the four sides for a brief moment to ensure that all of the egg batter gets cooked (this is not necessary if you are using regular bread slices). See our cooking chart below for approximate cooking times. 7) Serve – after flipping the french to toast to brown both sides, remove from the pan and serve with your desired toppings. That’s how to make French Toast! It’s a basic recipe for making French toast if you skip the optional step #5. As with all baked goods, do NOT overcook. The best way to make French toast, if it is for more than one person, is to use an electric griddle. 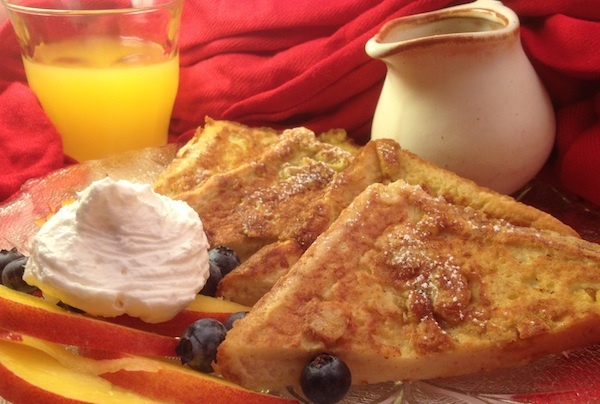 French toast can also be placed in a casserole at night and then baked the next morning. It’s probably not a politically correct time to link to Paula Deen, but her recipe for baked french toast is one of the best. We also have a blog post on breakfast crock pot recipes, which includes a french toast recipe for the crock pot.